How to choose a natural foundation you'll actually feel good about putting on your skin. Let’s talk about makeup. Makeup is fun, artistic, and a great method of self empowerment. It’s perfectly understandable, then, why it’s not so fun when someone starts telling you which makeup to use and not to use. We’re about to step into red territory here with the topic of natural foundation. We promise we’re not here to fearmonger everyone and tell you never to buy makeup from a drugstore again. But it most certainly is our job to show off all the bells and whistles of a natural foundation to help you make the best decision, if trying a natural foundation is an area of interest for you. Regardless of whether you want a natural dewy finish or a glam Instagrammable look, we promise that there’s a natural foundation out there for the job. What’s so great about natural foundation? We get it, the natural makeup look isn’t for everyone. But natural foundation is a lot more versatile than that. A common myth with natural makeup products is that they’re only good for natural looks with sheer coverage. 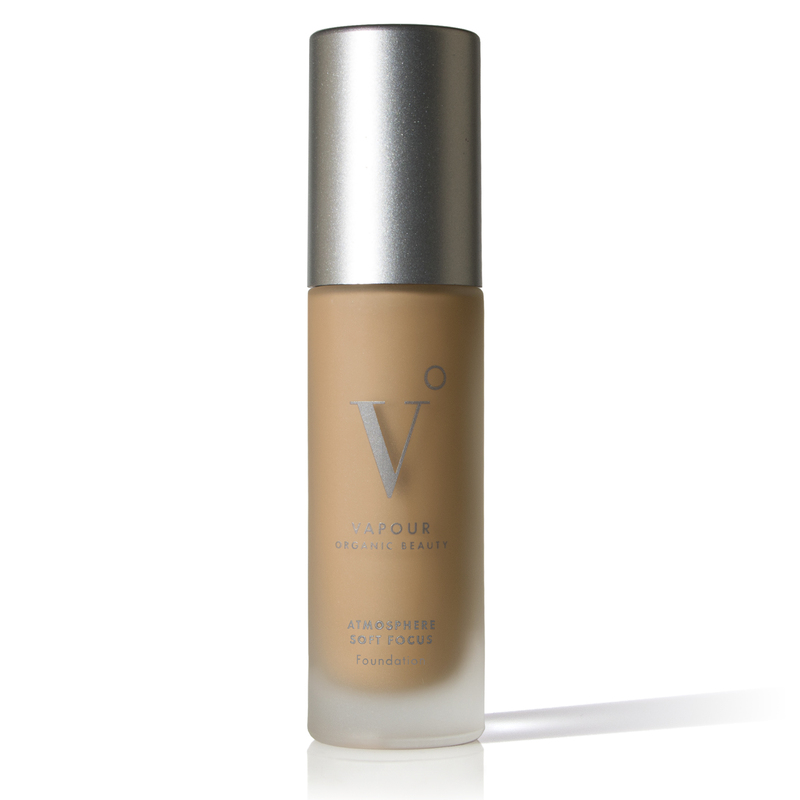 But natural foundations offer stunning pigmentation, as well as medium to full coverage. They come in many forms, like stick applicators or BB creams, so choose whatever’s most handy for you! On the flip side, if you are interested in rocking a natural makeup look, you probably know that a “no makeup makeup look” often takes even more effort to actually look natural. A natural foundation is your best friend here. It’s easy to find the perfect match for your skin tone with a natural foundation. 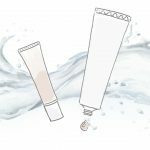 Some brands offer up to 19 shades per formula, and many are expanding their range as natural beauty hits mainstream. Our skin is our largest organ — not only does it keep us looking pretty, but also shields us from the elements and acts as a path to our bloodstream. So if you’re going to use a face coverage makeup such as foundation on the daily, you’ll want to select one that you can trust to take care of your precious dermis as well. These natural foundations are free of synthetic preservatives, fragrances, and other cancer-causing chemicals that are commonly found in your usual beauty supply store foundation. They also contain natural ingredients that help nourish skin and absorb excess oil for longer lasting makeup. These silky smooth formulas offer adjustable coverage, and usually come with a matte finish, making them ideal for oily skin. Feels lightweight on skin, yet is longwearing and great for a natural look that will last your whole work day. Blends well and doesn’t cake, and can cover blemishes like acne scars. Contains a mix of finely milled natural, powder ingredients to absorb excess oil for smooth coverage. Green tea, aloe, and algae are nourishing for even sensitive skin types. Light to medium coverage, with matte finish. Absorbs oil, so it’s a great option for the summer or as a setting powder over moisturizer. Offers moderate staying power, will probably need touch ups for longer wear. Nourishes with antioxidant-rich plant oils. Medium coverage with matte finish. Ideal for normal, combination, and oily skin. Blurs blemishes for an airbrushed finish, and feels light on skin. This powder foundation is entirely colored by fruit and vegetable pigments such as peach and apricot. Rice powder soothes inflamed skin for a smooth finish. Fruits and white tea are packed with antioxidants. These formulas are made to feel nourishing and comfortable for skin, and usually come with sheer to light coverage. Provides medium to full coverage, with velvety finish. Ideal for all skin types. A little goes a long way! A few drops will provide full coverage that feels light on the skin. Broccoli seed oil is the first ingredient, and it’s cold pressed too, meaning it preserves more of its natural antioxidant content. Sea buckthorn is rich with anti aging nutrients. Medium to full coverage with dewy finish. Coverage is easily adjustable, and formula blends into skin flawlessly. Fruit stem cell blend nourishes for a more youthful complexion. Organic grapeseed oil and Vitamin E are rich with skin-restoring antioxidants. Light to medium coverage with dewy finish. Especially beneficial for acne-prone skin. Blends easily and feels weightless on skin. Base of aloe juice and jojoba oil primes for flawless makeup application. Soothing green tea extract and purifying essential oils promote a smoother complexion. Liquid foundations are generally a better choice for dry or mature skin, but there are plenty of options out there for oily skin too in a variety of finishes. Medium to full coverage with satin finish. Ideal for normal to oily skin. Blends smoothly while feeling light on skin and doesn’t clog pores. Long-wearing, covers blemishes for a flawless finish that lasts the whole day. Camellia seed, sunflower seed, and castor seed oil are nourishing yet lightweight. Silica helps to balance oily skin. Light to medium coverage. Ideal for all skin types. Easily blends and builds for adjustable coverage. Aloe juice, neem, and essential oils are soothing. Jojoba and carrot seed oil are light enough for even oily skin. Green tea and rooibos are rich in antioxidants. Full coverage, with matte finish. Ideal for normal to oily skin types. 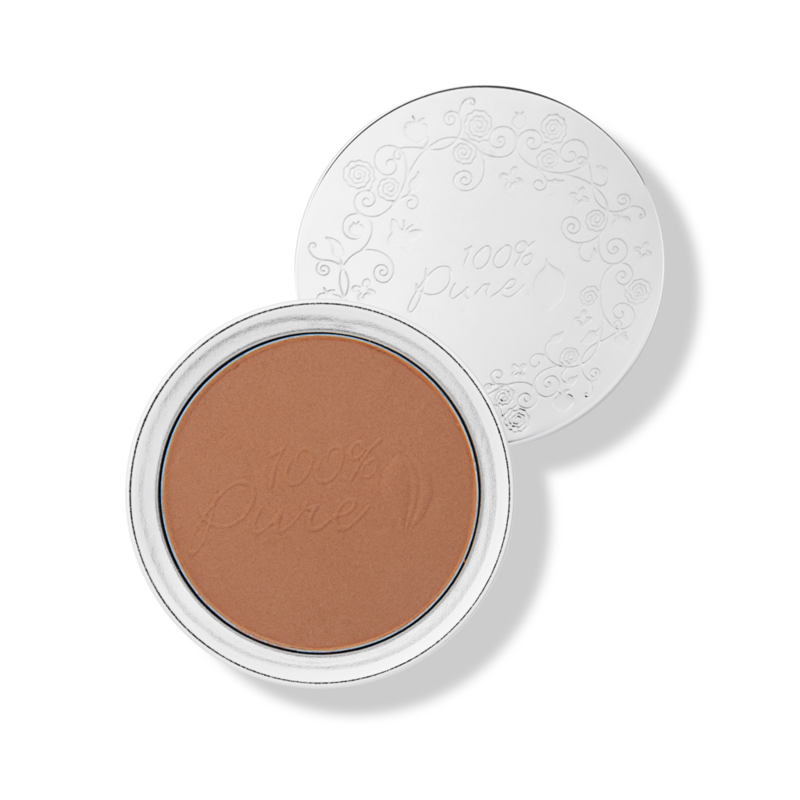 Creamy, luxurious formula conceals fine lines without feeling greasy or clogging pores. Antioxidant-rich superfruits acai and goji protect and strengthen skin. Comes with potent anti-aging benefits from white tea and acerola. 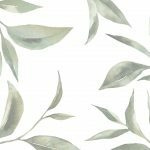 Clean beauty lovers rejoice! There are so many different formulas and finishes to choose from. There’s no excuse to not pamper yourself with a natural foundation that’s actually healthy for your skin. As with buying conventional foundation products, make sure to try sample packets first. Many natural cosmetic companies also offer complimentary beauty consultations and shade matching services. 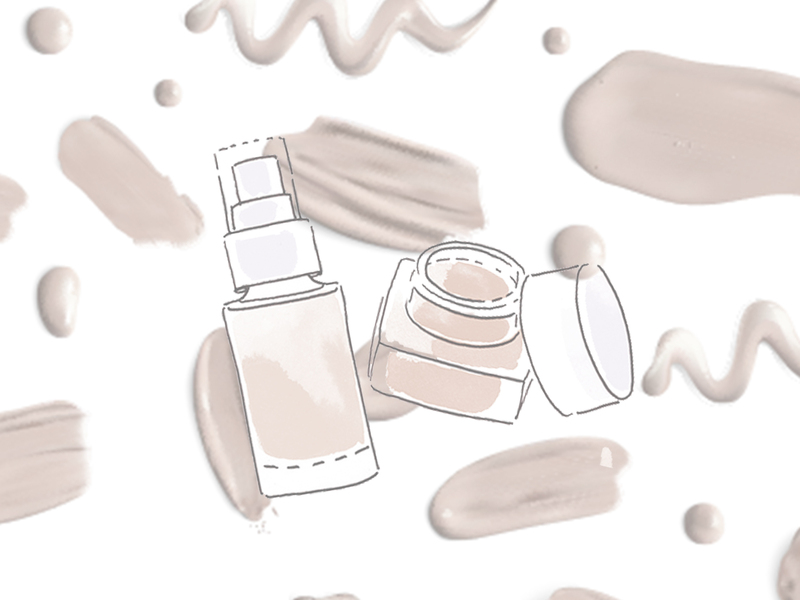 We’re pretty sure you’ll be pleasantly surprised by all the perks a natural foundation can offer for your beauty routine. You’ll be a clean beauty pro in no time.